This morning, Scupper spied bikes from a couple of Seattle’s bike share programs that were tossed over the seawall at Emma Schmitz View Point. I wonder if the bike share companies pay for the removal of the tossed bikes or if the City of Seattle winds up with the bill. It’s not the first time that I’ve seen the bikes from this program vandalized and left behind as litter. More like a scattered shot gun approach if you ask me. The Seattle Mayor & esteemed Council members are set to propose strict regs on ALL short term (under 30 days) rental properties in the entire city. That of course includes all of West Seattle and the handful of units on Beach Drive which yours truly just went live with in May. The purpose and intention of the proposed legislation is to discourage homeowners with non-owner occupied properties to choose housing out of town tourists over more permanent long term renters. If it all goes as planned, the Council predicts there will be 300 new long term rental units on the market. They stop short on claiming they’ll be “affordable” but that’s what they really want, and frankly should want. Councilmember Tim Burgess that chairs Affordable Housing prides himself on using “smart policies and evidence-based solutions”. Really? They did not want to rent a hotel downtown and fight traffic and parking. They did not want to stay in the basement of someone’s primary residence. They all wanted a private waterfront home all to themselves which is not available anywhere commercially in the city. They all spent a majority of time & money hanging out in West Seattle. Other than required licensing, the Council is not going to hinder homeowners that are using their primary residence for housing STR guests. The idea is that this segment of the market is merely trying to make ends meet and subjecting them to the proposed regs wouldn’t result in additional permanent units anyhow. Well, the only 2 homeowners I know around here using their primary residence as a STR have entire apartment units on their lower floor and choose short term rather than permanent renters. Not trying to pull them into the crab boil as well but it probably won’t be long before the City sics their proposed staff of STR inspector goons on them as well! Now we need to make a decision what to do with our house next door if the legislation passes through as proposed. Rent it out on a permanent basis? No, we also like the flexibility of using it for ourselves, family & friends. Sell it? Maybe some years down the road. 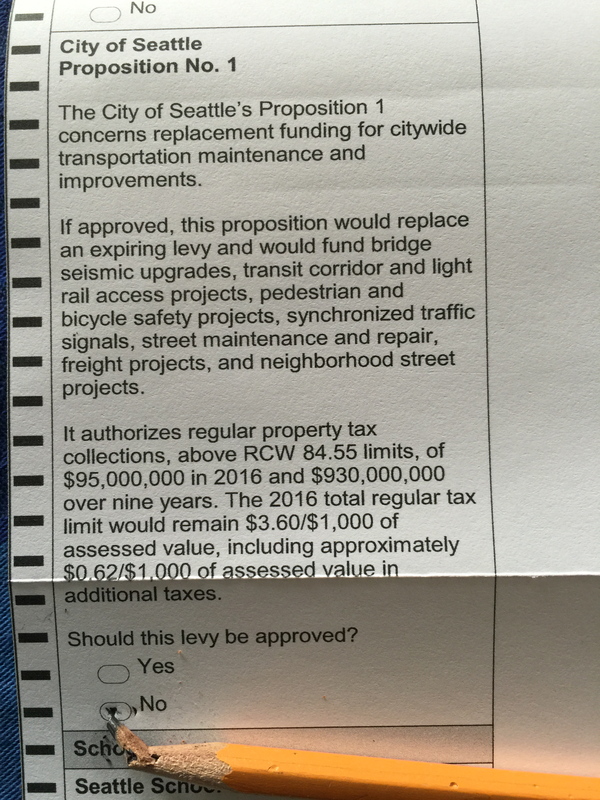 Bottom line is that the City of Seattle will miss out on any further taxes & licensing fees we generate and West Seattle establishments will lose some year around tourism dollars. It’s just too much work & expense to run a STR like ours for the proposed limit of 90 days a year when the break even point is more like around 160 days. I’m not saying a problem doesn’t exist in other parts of the city. All of Burgess’s example’s of why short term rentals are cheating permanent locals from finding affordable housing border downtown Seattle. He claims extreme abuses of entire apartment/condo floors being held out for STR to tourists. We’ve recently learned that “entrepreneurs” are actually renting out permanent apartment space and then jacking the rent to STR guests all with 100% approval of the building’s management team (also receiving a cut, of course). I also wouldn’t be surprised if abuses are taking place with the recent high density rezoning and micro housing attended for gram & gramps or permanent local renters. Seems to me that the Council and Mayor should be targeting those abuses rather than ma & pa on Beach Drive. UPDATE 12:12 pm: just back from a walk and found a "temporary permit" on one of the approximate 30 signs with another phone number. I was told they were trying to get the right dates on the signs but the mist was interferring with their markers. The person one the phone seemed surprised the signs were standing up since the work ("repaving at the citizens request") is not scheduled to take place until next week. He was trying to stress to me that these signs were giving us additional notice–I had to repeatedly tell him that early notice with wrong dates is confusing. I'm told someone will be out to fix it soon. 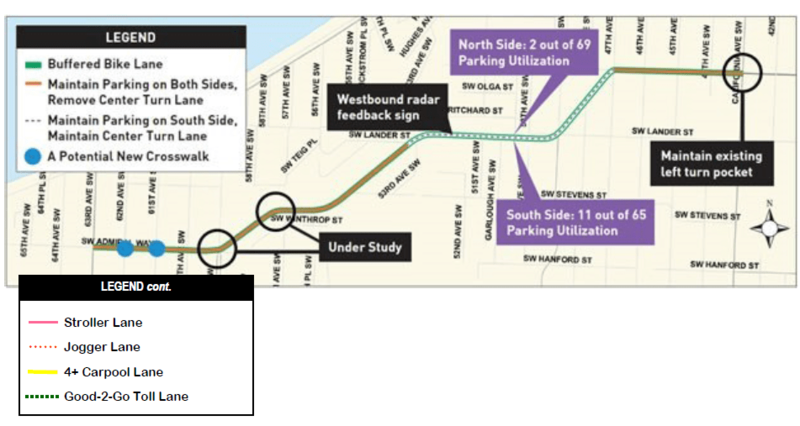 Here's more info from West Seattle Blog. ORIGINAL POST: An hour or so ago I noticed no-parking signs being put up on Beach Drive…I didn't think any thing of it until I looked at the dates…it's EFFECTIVE YESTERDAY. I called number on the bottom of the sign which directed me to the Seattle Department of Transportation. The lady I talked to (I wish I grabbed her name) told me the signs are not there's if their name is not on it…most of the signs do not have "City of Seattle" on them but I notice one with a logo (not photo'd). She still said this does not mean it's SDOT's sign. She did say that 24 hour notice must be provided before a car can be towed. When I asked her what happens if the signs were back-dated (or not dated properly) she couldn't answer. She did take down my name and number. If I find out more information, I'll let you know. At the very least, if your car ends up being towed because of a back-dated sign and improper notice, you can hopefully refer to this blog post. I witnessed the signs going out and they were not out this morning when I walked my dog. A neighbor notified us that some people left garbage at Mee Kwa Mooks Park last night and told me that this has been happening often recently. We live in such a beautiful area and it's sad that some people can be so thoughtless. By the time I reached the park, a gentleman from Seattle Parks Department was cleaning up. It appears the whoever did this left behind playing cards and even a cloth tablecloth and consumed a few beers. Last week I noticed a group of men that appeared to be collecting a significant amount of moon shells along the beach in front of Emma Schmitz Memorial View Point. I also see this person (photo) on a regular basis doing the same…armed with decent size tote, plucking many shells from the beach. One day I asked this person what she was doing (she had gone well past the park and was on private property); she informed she was collecting moon shells and beach glass. One shell here or there may not make a significant change but weekly raidings may have an environmental impact. I have no idea if the moon shells are being harvested for food or decor. Perhaps its me. I was just driving along Beach Drive to take the kids to their bus stop when someone in a dark truck passed me. I was going 30 mph (a.k.a. the speed limit). After this person passed me, they actually slowed down to 20 mph. No one was behind or in front of us. And I’m not interested in passing anyone on Beach Drive or entering into a game of road rage. I just don’t get it. I think I’m going to pour myself another cup of coffee when I get back home. This post was written with my Treo…waiting at the bus stop with my kids.